Put your toes in the Sand and a drink in your hand. 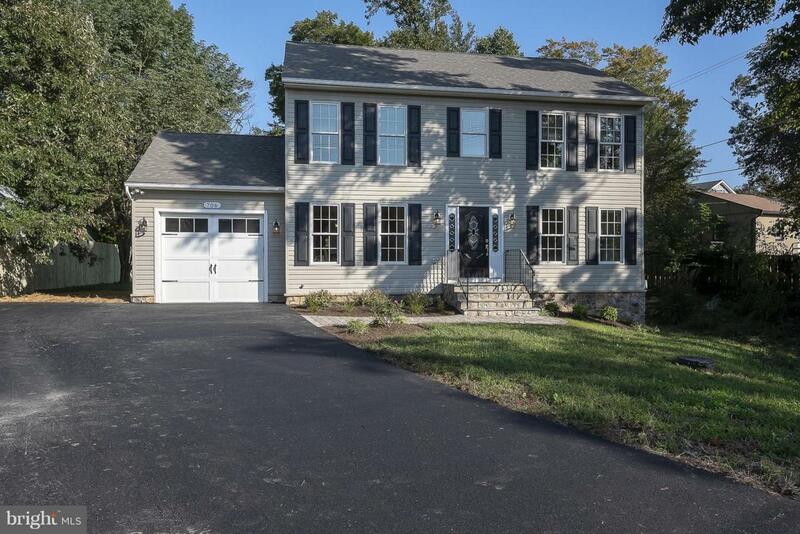 Newly rehabbed Large colonial with 4 bedrooms and 2.5 baths, Hard to find BASEMENT and 1 car garage. Large open floor plan. Home has just been freshly painted, new carpet, landscaping, etc. Basement has rough in for bathroom. Main level has hardwood floors throughout. Kitchen has new granite counters, stainless steel appliances and breakfast nook. Spacious family room has gas fireplace. You also have a Separate dining room & living room or office. Master Bedroom has a walk in closet, another separate closet and vaulted ceiling. En suite has a separate shower and jacuzzi tub. Come down to the Awesome beach and swim in the roped off swimming area, Check out the play ground or just relax while enjoying the view of the Chesapeake Bay. There's a Marina and boat ramp too. Blue Ribbon Schools! Neighborhood does 4th of July parade and picnic, Halloween costume party and parade, Yoga on the Beach, etc. Easy commute to DC, NSA, Baltimore and Annapolis.